(NaturalNews) When it comes to dieting, some people may think that avoiding fat is a good first step. Cut fat, lose weight, right? The truth is, the world of fats is a very complicated one. There are good fats and bad fats, natural fats and unnatural ones. And all of them affect your body in different ways. Some fats are absolutely essential to good health. We need fats in the form of essential fatty acids. We need fats to deliver fat-soluble vitamins such as vitamins E, A and D. We need fats to keep our skin healthy and as slow-burning fuel to moderate our blood-sugar levels. And, for people watching their cholesterol, cutting too much fat from their diets can actually be a bad thing. According to the U.S. Department of Agriculture's Dietary Guidelines for Americans 2005 (1), a diet too low in fat can have detrimental effects on blood cholesterol and triglyceride levels. The same document recommends a diet with 20 to 35 percent of daily calories coming from mono and polyunsaturated fats such as those found in nuts, fish and vegetable oils. Sounds simple enough, doesn't it? Avoid high levels of saturated fats from red meat and dairy sources, and focus on those good plant oils. But, unfortunately, not all vegetable fats are created equal. Or naturally. That's where trans fats come in. Trans fats often show up on the ingredient labels of foods as "hydrogenated vegetable oil" or "partially hydrogenated vegetable oil." And, while vegetable oils, such as olive oil, are a great component of a healthy, natural diet, hydrogenated vegetable oil is a very different thing. Hydrogenated vegetable oil -- or trans fat -- is created through an industrial process which starts with liquid vegetable oil and adds hydrogen to it. This makes a product that is solid at room temperature -- think solid, creamy white vegetable shortening. This solid fat is used by commercial food manufacturers because it adds an appealing mouth feel to foods such as pie crusts and cookies. Better still, it's shelf-stable. 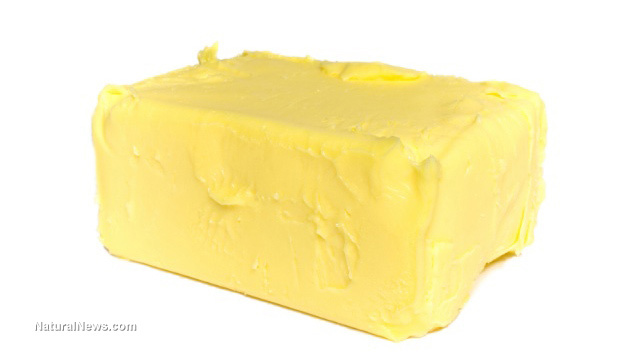 Unlike more natural fats, it does not turn rancid when left unrefrigerated. Foods made with it also have a less greasy feel. This is good for marketing. According to the American Heart Association's article "A History of Trans Fats" (2), the hydrogenation process was discovered in the late 1890s by French chemist and Nobel laureate Paul Sabatier. By 1902, American scientist Wilhelm Normann had patented the process in the U.S. using vegetable oil and was adding it to foods. Solid vegetable shortening quickly hit the grocery store shelves. Housewives, concerned about the health of their loved ones, were told that the shelf-stable fat was a "pure," healthy alternative to using lard in recipes for pie dough, biscuits and cookies. During the food shortages caused by World War II, margarine replaced butter on most American dinner tables. Because trans fats were cheap and acted as a preservative, food manufacturers quickly started adding it to more and more foods of every kind: cookies, chips, doughnuts, bread, even peanut butter. Health-conscious consumers were often relieved to see "hydrogenated vegetable oil" on a food label in place of butter or lard. Cheap and healthy. A real win-win, right? Wrong. As early as the 1980s, some nutritionists and food advocates were sounding the alarm. Something that was chemically altered, as trans fats are, could not possibly be good for the human body, they warned. And they were right. Since then, study after study has shown that trans fats are bad. Trans fats have been linked to heart disease, obesity, type 2 diabetes and systemic inflammation. One study, reported by the National Institutes of Health (3), showed that African green monkeys who were fed trans fats gained weight, and they gained that weight around their middles, even when their diets did not have excess calories. A study published in the American Journal of Clinical Nutrition (4) linked the consumption of trans fats to type 2 diabetes. The jury is in. The World's Healthiest Foods website (5) calls trans fats "unnatural fats" and declares them "detrimental to your health." Even the American Heart Association (6) has joined the bandwagon. Its site states, unequivocally, that trans fats raise bad cholesterol levels, lower good cholesterol levels, increase the risk of heart disease and increase the risk of stroke. Bottom line: trans fats are bad. Do not eat them.